A dental infection (also called a dental abscess) is a collection of pus that can develop inside the tooth, in the gums, or in the bone holding the teeth in place. Abscesses must be treated as soon as possible as they can spread to other parts of the body and can make a person gravely ill.
A study performed at the University of Helsinki, which was published in the July issue of the Journal of Dental Research, stated that an infection of the tooth’s root tip increases the possibility of coronary artery diseases, even if the infection doesn’t show any symptoms. The study shows that hidden dental tooth tip infections are very common as 1 in 4 Finns suffer from one such infection, which is usually detected by an X-ray. Also referred to as apical periodontitis, the dental root tip infection is commonly caused by tooth decay. It is also a bodily reaction to microbial infection in the tooth pulp. The study involved 508 Finnish patients who were 62 years old and suffering from heart problems. They underwent examination of their coronary arteries through angiography. The result revealed that 36% had stable coronary artery disease (CAD), 33% had acute coronary syndrome (ACS) and 31% had no significant CAD. When the teeth and jaws of the patients were examined, the researchers discovered that up to 58% had at least one inflammatory lesion, a symptom of dental root tip infection. The result reveals that patients with dental root tip infection were more likely to develop CAD or ACS. This connection is strongest for patients with untreated dental root tip infection that requires a root canal treatment. These patients are at greater risk of ACS. Dental infections, no matter what form they come in, can be a life threatening problem if not addressed immediately. At United Smiles, we strongly recognise the importance of prevention when it comes to the welfare of your overall oral health. With an impeccable oral health regimen at home and involvement of your dental team, the threats of dental infections and other serious oral health diseases can be prevented. With our comprehensive preventative and general dental services, we guarantee that you will get the best dental treatment possible. United Smiles is conveniently located in the heart of Mernda Village, serving patients from Doreen, Beveridge, Whittlesea, Mernda and from all Melbourne metro areas. Our dental office includes ample parking at the rear of the building. Wheelchair access is also available from the front of the building and all of our surgeries can be performed on patients in wheelchairs. 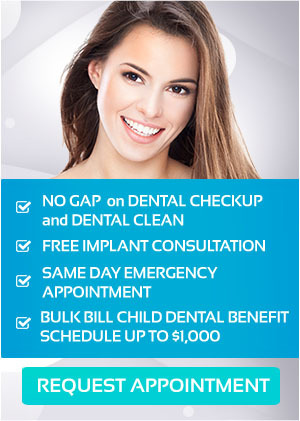 At United Smiles, our goal is to make quality dental care affordable. We encourage you to take advantage of our latest offers. To find out more, visit our special offers page today!